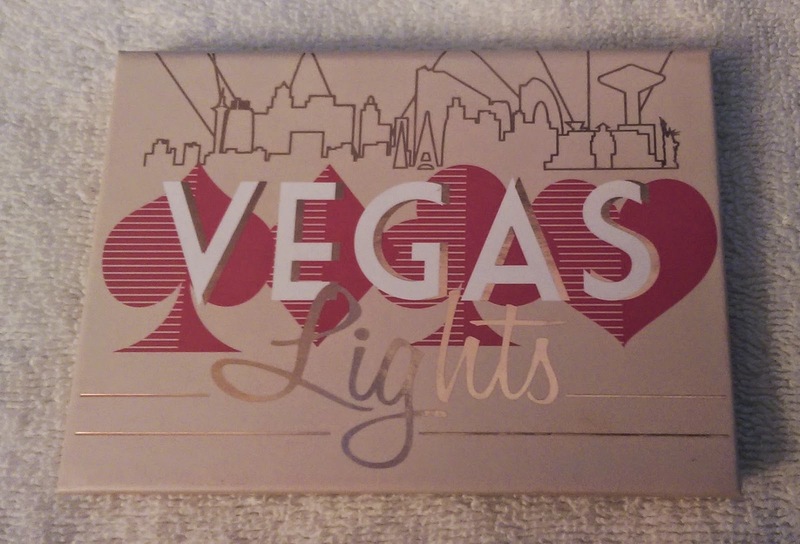 The palette comes in sturdy cardboard packaging that features cute Vegas themed artwork. There's a small mirror inside that I wouldn't use to do my makeup everyday, but would be fine for travel. 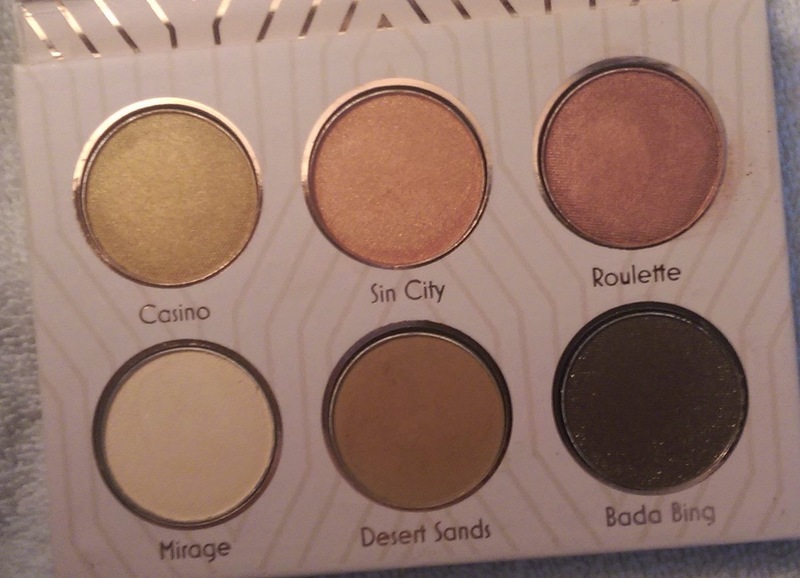 The palette contains six shadows: Casino, a metallic yellow gold; Sin City, a shimmery golden apricot; Roulette, a soft metallic burgundy; Mirage, a matte yellow-y beige; Desert Sand, a matte mustard-y tan; and Bada Bing, a dark brown with gold micro-glitter. As far as I know, the only shade from the Makeup Geek permanent line in the palette is Bada Bing. Not having tried the line's individual shadows, it's hard to imagine being any more impressed with the shadows in this palette. The formula is lovely. 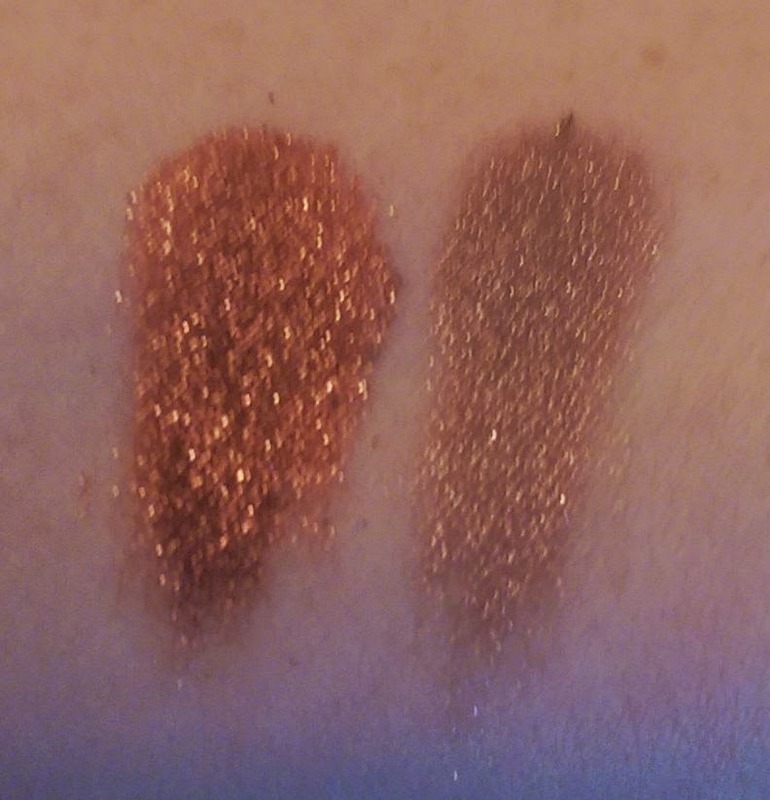 In particular, the metallic and shimmery shades are a dream -- intensely pigmented, creamy, and easy to blend. 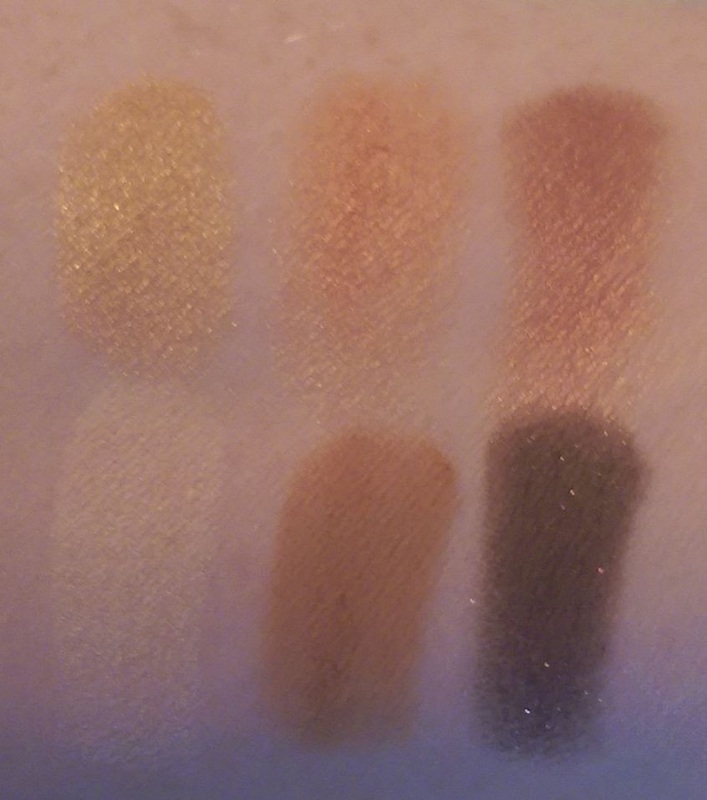 The matte shades are beautiful as well, though they are slightly drier in texture. They still apply easily and blend without much effort. The colors in the palette are absolutely stunning as well. The rich, warm tones are perfect for accenting blue eyes and are an ideal collection for fall. My personal favorites are Sin City and Roulette, which I use both as lid shades and in the crease. The pigments are just as nice as the palette. 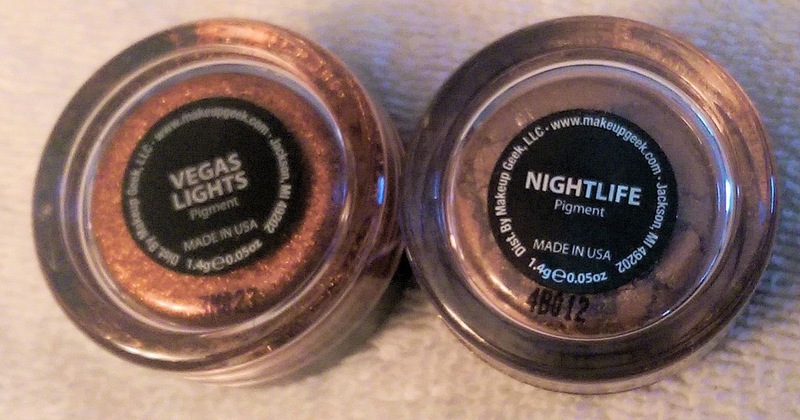 I'm not sure I have words for how gorgeous Vegas Lights is -- it is a dazzling glittery copper shade that is just magical with blue eyes. The texture is pretty chunky in the container, but it blends smoothly on the lid even if you use it dry. Nightlife is a rosy taupe shades that is ideal for everyday use. It has a creamy, silky texture and applies and blends easily. The palette is currently out of stock, but the website says that they hope to have more sometime in October. If you like warm toned shadows, I wouldn't hesitate to give it -- or the pigments -- a try. And Makeup Geek ships worldwide so folks outside the U.S., you can get your hands on them too. The palette is $37.99 and the pigments are $6.99 each. I definitely see more Makeup Geek products in my future -- as soon as I can whittle down my wishlist a bit. 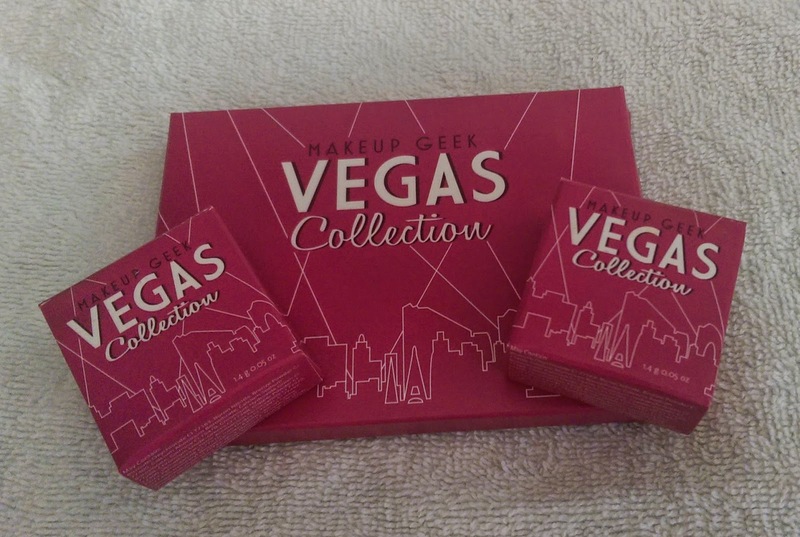 What do you think of the Makeup Geek Vegas Lights Collection? Have you tried other Makeup Geek products? What shadows would you recommend to someone new to the line? Pretty! Thank you for reviewing!